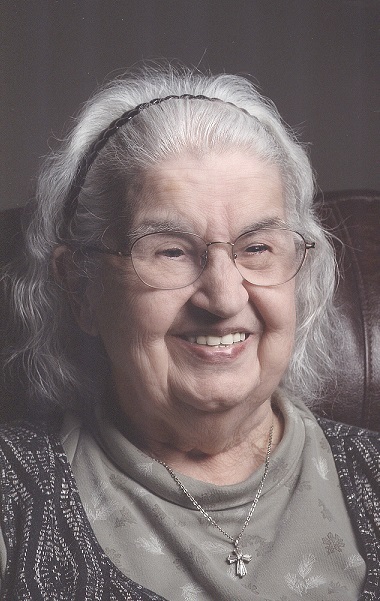 Elizabeth “Betty” W. (Banks) Schroepfer of Lee’s Summit, Missouri passed gently into the arms of her Heavenly Father on April 2, 2019. She was born on June 2, 1925 in Kansas City. Betty graduated from Research Medical Center School of Nursing on April 1, 1947 where she was also in the Cadet Nurse Corps. After graduation, she was a Visiting Nurse, and then worked as a Recovery Room nurse for over 20 years at Research Medical Center. She was preceded in death by her parents, John and Catherine Banks and her husband, John (Jack) Schroepfer. She is survived by her brother, William J. “Bill” Banks; children G. Catherine (Ron) Wight and Mark (Ann) Schroepfer; and grandchildren Stacy (Jerrald) Braiuca, Scotty McBee and Nicole Worrell, and Ian Schroepfer as well as several nieces, nephews and cousins. She will be sadly missed by her family and friends. Celebration of Life services will be held on Saturday, May 18, 2019, at Park Lawn Funeral Home, 8251 Hillcrest Rd. at 1:00 pm; burial in Green Lawn Cemetery. Friends may call from 12:15-1:00 pm prior to the service. In lieu of flowers, the family suggests contributions in memory of Elizabeth to The Research Foundation, for the Nursing Scholarship Program, 2316 E. Meyer Boulevard, Kansas City, MO 64132, 816-276-4218,www.theresearchfoundationkc.org. or Blue Ridge Presbyterian Church, 6429 Blue Ridge Blvd, Raytown, MO 64133, 816-353-2296. Memorial services will be 1PM, Saturday, May 18, 2019 at Park Lawn Funeral Home, 8251 Hillcrest Rd. ; burial in Green Lawn Cemetery. Cathy and family, I am sorry to hear of the loss of your mother. May God comfort you during this time of sadness. I know everyone who knew Betty will miss her greatly especially her children and grandchildren. Be comforted knowing she is now with her family who have passed before her. May she rest peacefully in her heavenly home.